Exemptions for religious or philosophical reasons would no longer be granted for the pertussis vaccine to children enrolled in a child care facility or public school. Only medical exemptions would remain. All adults working in a child care facility or public school who has contact with children in such facilities must provide evidence that their pertussis immunization is current and up to date. 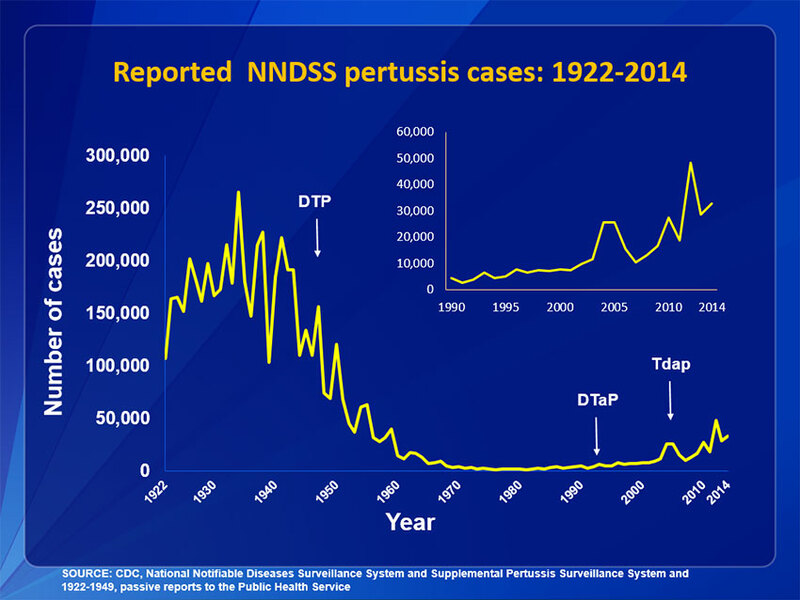 Over the past several years, we have seen the number of pertussis cases dramatically increasing across the country. Vermont is one of the states that has been hit particularly hard in the past year, going from 94 cases in 2011 to 645 cases in 2012, or about 100.4 cases/100,000 people, giving them the second highest incidence of pertussis in the country. For a comparison, the national incidence for 2012 was just 13.4/100,000. Dr. George Till, the only medical doctor in the Vermont state legislature, has ample justification, then, to be concerned. The outbreaks of pertussis that we've been seeing have been the result of a variety of causes: low vaccine uptake, lapsed adult boosters and waning vaccine immunity in teens. The evidence so far has suggested that children, especially in the 10-13-year-old range, need more frequent boosters to ensure immunity. We have also seen that adults need to get boosters, too. Till's bill would help improve the public health impact of pertussis in his state to some degree. However, it appears that private schools are not covered by this bill, so parents of those students could still get religious or philosophical exemptions. The impact of that, however, may be offset by requiring adults working in public schools and, more importantly, child care facilities to keep up to date on their boosters. I highlight the child care facility part because these often have infants, who are too young to be fully immunized and are at the greatest risk from infection, and young children who may be the siblings of infants. This is an important legislative measure that may help reduce some of the impact of pertussis. But only some. Recent research into pertussis outbreaks has identified another factor that may be playing a role in the increase we've seen: mutation. According to an article in MedPage Today, Mutations in Pertussis May Account for Rise in Cases, the immunity granted by the pertussis vaccine may have created a selective pressure on the bacteria to mutate and find new ways to infect and spread. In some cases, pertactin, a virulance factor that is used in the vaccines to produce immunity, was missing. This means that the body's natural defenses can't recognize the bacteria and mount a quick response to prevent illness. This type of mutation is similar to what happens naturally: sufficient numbers of the population are infected with a strain, develop immunity and stop spreading that strain. But another strain, for which the majority of the population has not developed immunity, continues to spread and takes over the niche that was left by the dominant strain. Evolution in action. If this is true, it means we'll need to develop new formulations of the vaccine, or perhaps even go back to using the whole-cell pertussis vaccine, which is known to produce better, longer-lasting immunity. If the immunization rate for a required vaccine at a particular school drops below 90%, then religious and philosophical exemptions from immunization requirements will be suspended for that school for the particular vaccine until their rate returns to 90%+ uptake. Adults who work at and come into contact with children at a school where the religious and philosophical exemptions have been suspended will need to provide evidence that they are up to date for the immunization in question. This bill resonates with me a lot. What I like about it is that, although it still allows for religious and philosophical exemptions (thereby placating some vaccine refusers), it helps to prevent what we see in certain communities, where pockets of low vaccine uptake develop. Being limited to public schools, however, keeps this bill from going far enough, in my opinion. Independent schools (i.e., private schools) are not covered, so we could still have sub-par immunization uptake in certain areas, such as at Waldorf Schools. Many vaccines require at least 90% coverage in order to establish decent herd immunity. It's higher for some (like MMR to prevent the exceedingly contagious measles), but 90% immunization uptake is pretty good. If immunization rates fall below that level, then it becomes more likely that an infectious disease will be able to establish a hold in the community, with enough individuals not protected that it can circulate. When you have individuals who, for medical reasons, cannot be vaccinated and are at a higher risk of complications from the diseases, establishing community immunity is very important. Those individuals rely on everyone else having immunity so that they do not suffer serious harm. People who opt out of vaccination, therefore, are putting their own ideologies above the health and well-being of their fellow human beings. We addressed vaccinations last year, and I think we should give that law time to play out before coming back to it...I don’t think we’re interested in taking it up at this time. Click here to find contact information for your representatives. As they say, it takes a village. Make your voice heard.